Most breadwinners recognize the importance of life insurance. If you should die unexpectedly, your family could face a severe financial squeeze, perhaps having to sell the home and give up other lifestyle comforts. With an adequate policy, your beneficiaries may be able to pay off the mortgage (or make a sizable dent in it), take care of funeral expenses, and meet a wide variety of other financial obligations. But do you really know all you need to know about life insurance? 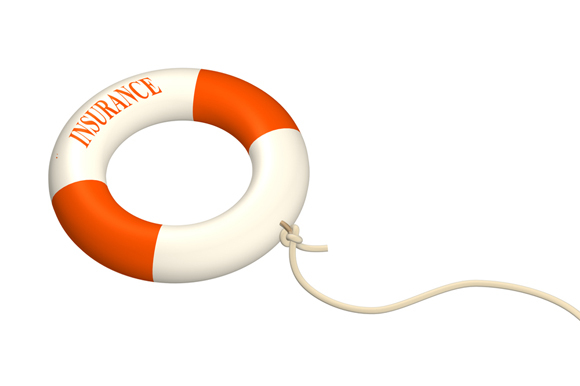 How about the differences between permanent and term insurance? What about other types of policies? What sorts of riders are available? What are the income tax and estate tax consequences? 1. Which of the following is true about permanent life insurance? a) It provides a cash value in addition to a death benefit. b) It is limited to the spouse with the greater amount of earnings. c) The policy can never be voided. d) The death benefit is limited to $1 million. 2. Which of the following is true about term insurance? a) It cannot be purchased if you are retired. b) It generally has a lower initial premium than whole life insurance. c) Underwriting approval is automatic. a) The value of your home. b) Your salary multiplied by your number of children. c) Three times your annual expenses. d) Five to seven times your annual income. a) Type of permanent life insurance policy. b) Type of term life insurance policy. c) Contract with an insurer to provide future payments. d) Retirement plan sponsored by an insurer. a) Sold before the insured’s death. b) Used as collateral on a car loan. c) Exchanged tax-free for a mutual fund investment. d) Voided due to a disability. a) Treated as a taxable gift. b) Treated as a tax-free gift. c) Exempt from federal income tax. d) Exempt from federal estate tax.